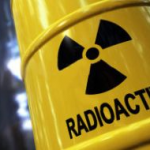 The Government Accountability Office released a report on Tuesday stating that the Energy Department’s Office of Environmental Management must develop a method of classifying nuclear waste cleanup to mitigate cost and schedule risks. GAO stated that EM’s 2017 cleanup policy did not comply with program management practices such as facilitating risk management throughout the project and requiring independent reviews of cleanup activities. Experts operating under EM have expressed concerns regarding how the office should classify activities such as the cleanup of tanks containing radioactive liquid waste as capital asset projects. The experts said that subjecting such activities to less stringent requirements poses cost and schedule risks. EM is responsible for waste cleanup at 16 DOE nuclear sites as well as the implementation of project-related regulations. In 2018, DOE reported that it may require around $494 billion to manage future environmental cleanup operations.